I'm a Freelance artist and big fan of the 8os movies! 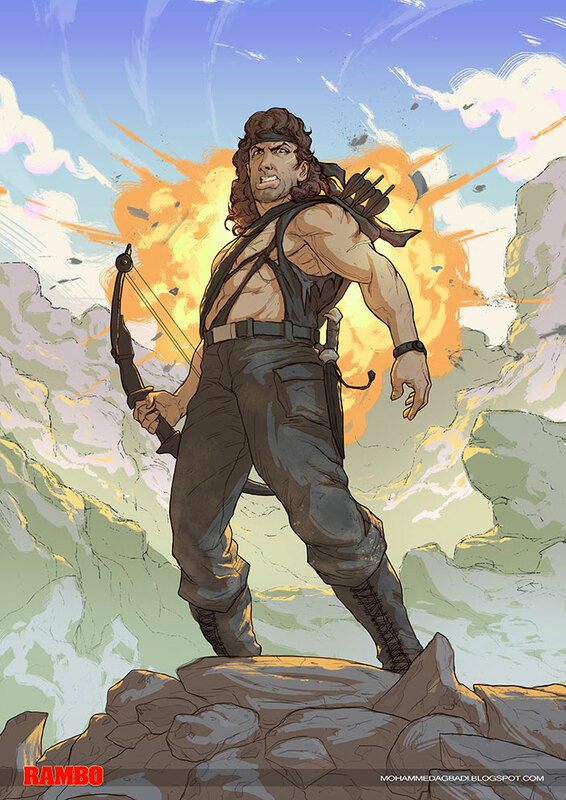 I really loved rambo growing up so i decided to give ol' John a tribute. Rambo is a film series based on the David Morrell novel First Blood and starring Sylvester Stallone as John Rambo, a troubled Vietnam War veteran and former Green Beret who is skilled in many aspects of survival, weaponry, hand-to-hand combat and guerrilla warfare. The series consists of the films First Blood (1982), Rambo: First Blood Part II (1985), Rambo III (1988), and Rambo (2008).